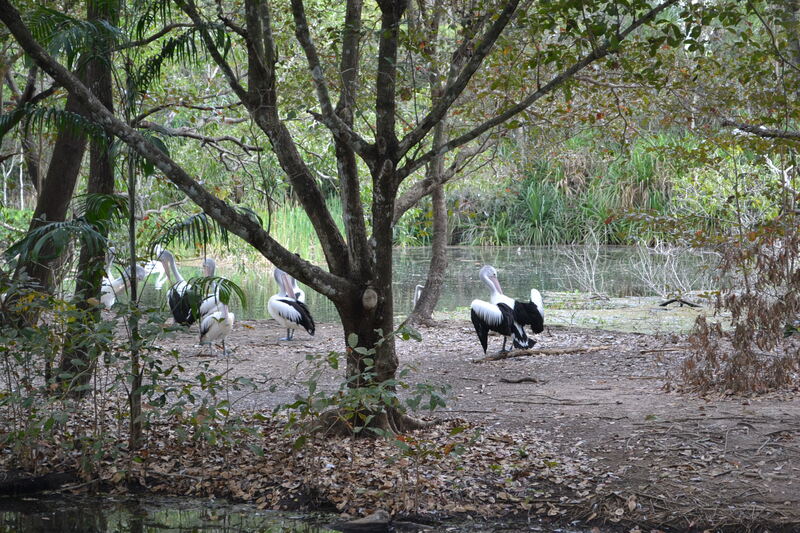 During the school holidays recently we made a family visit to the Territory Wildlife Park. It was donkey’s years since my husband and I had been there so it was fun to go with the daughters and grandchildren to see the animals. It covers a huge area, so the “train” (actually more like an open-air bus) was heaven sent and the driver an informative tour-guide. Even so Mr 3 needed carrying from time to time, so memo-to-self, if taking them on my own, a pram is essential. Despite being there for hours we still didn’t cover all the features but here are some of the highlights of the day. 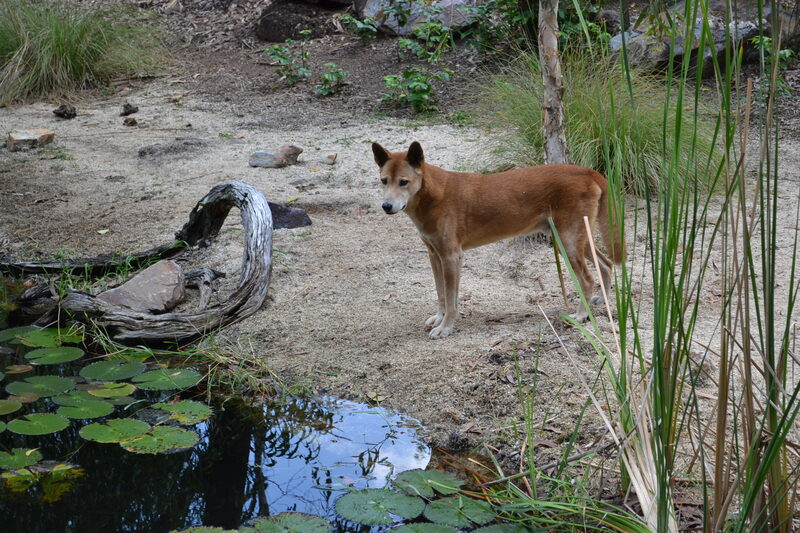 Seeing the dingo was a high priority for Mr Almost-Six. Is the Dingo really named Ernie? For Ernie Dingo the actor, seems a bit of a double-edged sword to me. Whereas Nanna has a pelican fetish as you can tell from this blog’s header picture. The nocturnal house was a great hit but of course, no photos of that. We were all pretty impressed by the king brown snake near the exit, but as we were focused on rounding up kids, the camera didn’t come into play. 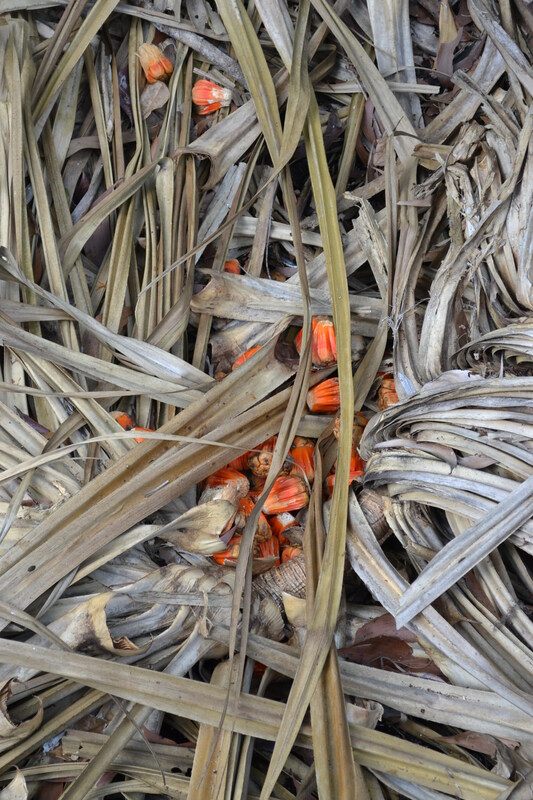 I’ve mentioned pandanus palms quite often on this blog so I thought I’d include this picture of some ripe and fallen “fruit” from the pandanus. When I was a child I made the mistake of cutting some up once -man it stank! 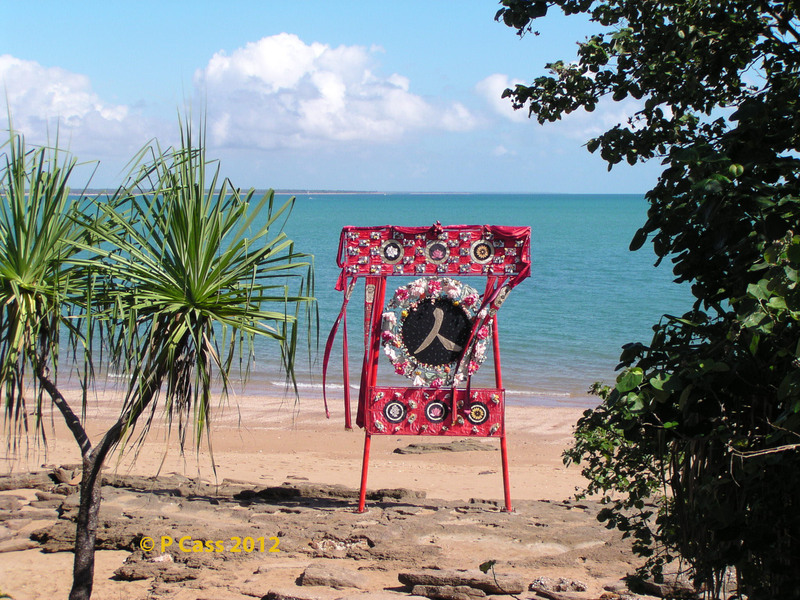 Fruit of the pandanus palm and fallen leaves.